Hollywood’s biggest night is almost here! 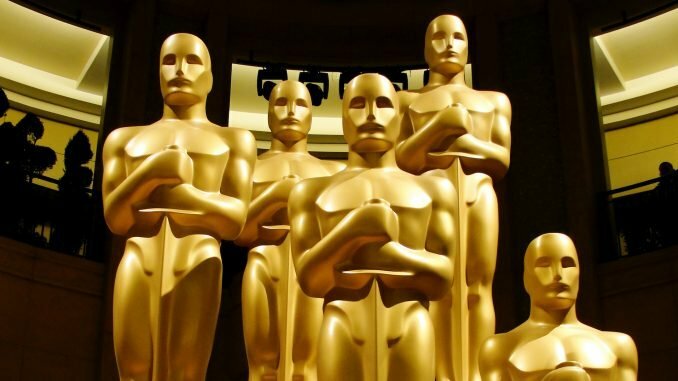 The 91st annual Academy Awards will be held on Sunday, Feb. 24, and while many can’t wait to see which flick takes home the award for best picture, attendees are getting pumped for the Governors Ball — the official, post-award show bash. So, what will our favorite actors, directors, musicians and producers be dining on? Wolfgang Puck’s Oscars party menu has been released, and the food sounds divine. The menu, which was announced on Good Morning America, will include several crowd favorites, including tuna tartare, smoked salmon Oscars topped with caviar and Puck’s signature pizza app, but the celebrity chef — who has been feeding nominees and winners for 25 years — also has a few tricks up his sleeve. Puck will be making Nashville hot fried quail with red velvet waffles, Austrian ricotta dumplings with a watercress pea pesto and lemon-brown butter sauce and vegan torchio pasta, which will be topped with arugula. But let’s get to our two favorite menu items: chicken potpie and mac and cheese. The event will also have lots of signature drinks and affogato for dessert. Hollywood’s biggest night also needs big-name entertainment, and the 2019 Governors Ball will have exactly that. The Strokes; Florence and the Machine; Lil Wayne; Tyler, The Creator; and Major Lazer are all slated to take the stage during the event. As for those of us who will be partying at home, the academy is giving us a glimpse into the good life by sharing some of Puck’s recipes. So sit back, settle in and sip on an ancho old-fashioned, because the 91st annual Academy Awards is sure to be something special.